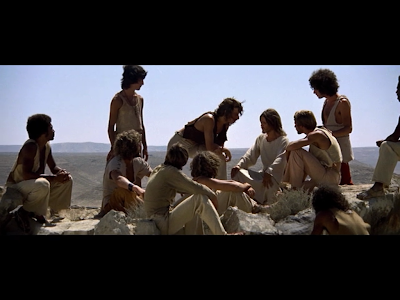 Jesus Christ Superstar (1973) - AoM: Movies et al. Everybody wants to hear from Jesus (Ted Neeley). the opening number "Heaven on Their Minds." 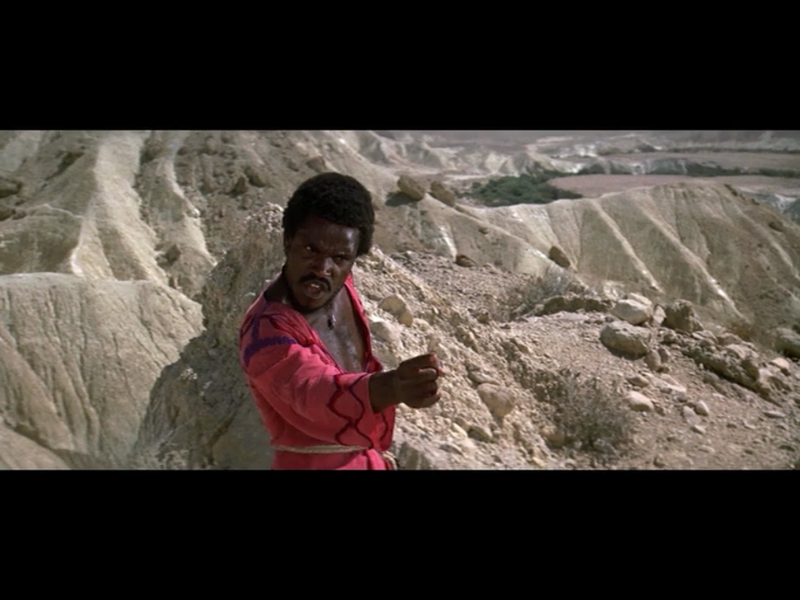 For the most part, this was an interesting retelling of the story of Jesus Christ. I particularly liked the bit with all the dancing. I also liked the music. However, my one minor complaint is that some of the body language and facial expressions look strange. Then again, I can be quite particular when it comes to faces. Jesus Christ and Mary Magdalene (Yvonne Elliman). Ultimately, I don't know what sort of person would enjoy this movie. Based on a single case study, its insufficient to simply enjoy musicals. Perhaps some familiarity with the Passion of Christ is useful as this allows the viewer to compare/contrast the story presented with the story as its traditionally presented. 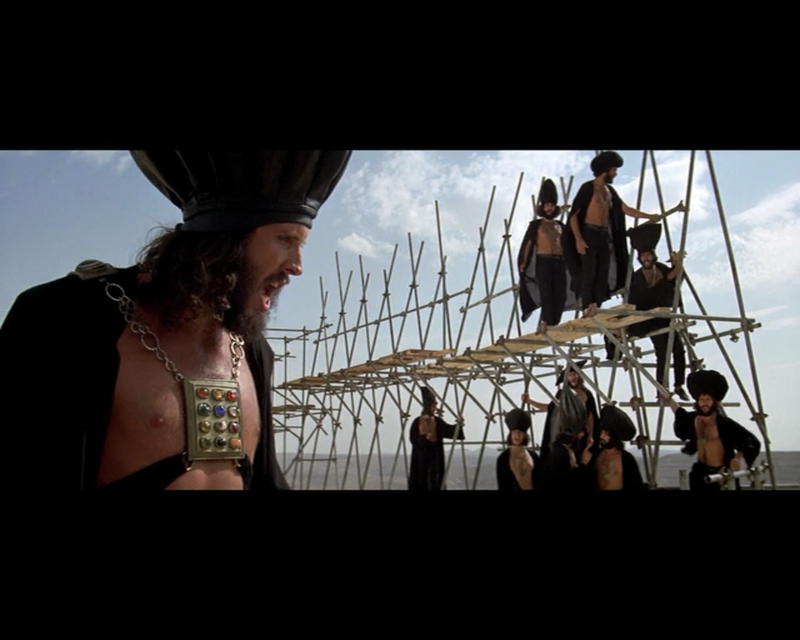 Caiaphas (Bob Bingham) and the priests. 1a: Oh wow. The music at the start of the movie quickly suggests the movie's will be absolutely crazy. This is reaffirmed within the next several minutes. 1a: Oh I thought my sister didn't want to see it, but it turns out she might be interested, so I stopped watching at the eight minute mark. The end of "Simon Zealotes." 1b: I started the film back at the beginning. 1b: My sister was too tired and/or uninterested to finish the entire film. 1b: I didn't understand the start and end of the film. Apparently a group of people have come to retell the Passion of Christ and after they're done they pack up and leave. "Mary" and "Judas" board the bus.